Will Your Insurance Cover You While Moving? Every year, millions of people move – from one apartment to another, from an apartment to a home, or from one home to another. Moving is a stressful process, filled with dozens of logistical details and concerns. One set of concerns that many people never consider is whether and how their insurance will apply to their property and any motor vehicles they use during the move. Property may break, disappear or suffer collision damage while the movers load it onto their trucks, drive it to the new home and unload it. If the homeowners must live in a temporary residence until their new home is available, the same risks will apply a second time. The owners may decide to leave some property at a storage facility because the temporary apartment is too small to contain a house’s worth of belongings. Stored property is vulnerable to damage, theft or flooding, depending on the facility’s location. Property in the temporary residence may be damaged or stolen. Standard moving contracts limit the movers’ liability for damage to property of others to a certain value per pound, such as 50 or 60 cents. For example, if the movers drop a 100-pound sofa while loading it onto a truck, the most the mover will pay for it is $60. Also, the contracts often absolve the movers from liability for property damaged by “acts of God,” such as flooding, lightning strikes and hailstorms. While property owners can pay extra to upgrade the coverage, the upgrade normally values the property at its worth after depreciation, it may not cover breakage unless the movers packed the breakables, and it might not cover loss from certain causes such as flooding. If the owners still have a standard homeowner’s insurance policy in force, those same coverages apply if there is a loss to their property while the movers have it, while it is stored and while it is at the temporary home. The owners have the option of buying coverage that will pay for replacing the property without depreciation. Many people, especially those purchasing a home for the first time, may rent trucks and move their property themselves. 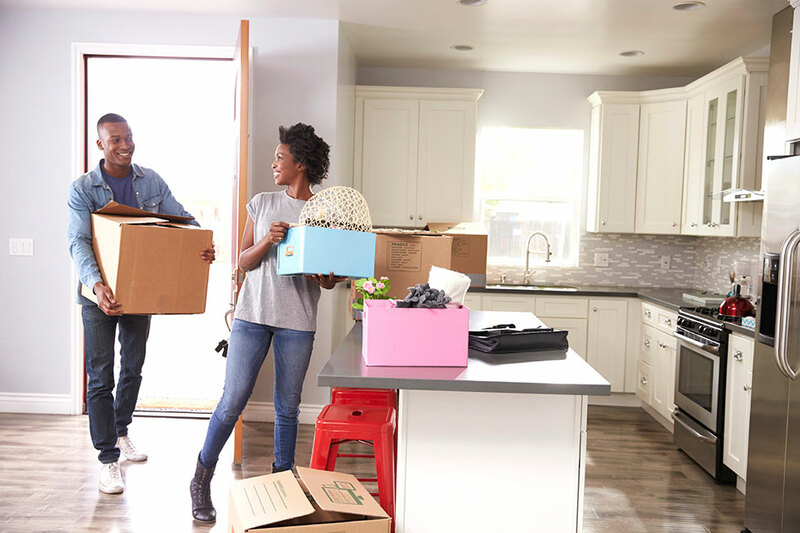 If they have a current homeowner’s or renter’s policy, it will provide the same coverage that the people moving from home to apartment to home have. Renters should be sure to ask the rental company about purchasing insurance on the truck itself for liability they may incur for injuries or damages they cause while using the rental trucks. Moves can encompass many different circumstances. A family may buy a home but rent it back to the sellers for a period of weeks or months. Empty nesters may sell their freestanding house and move into a condominium. Families may move across the country, shipping some property by truck while they drive or fly to the new region. Regardless, people on the move should consider the insurance implications and discuss them with an insurance agent. Certain types of property (collectibles, musical instruments, artwork) may need special coverage not found in a homeowner’s policy, and a current homeowner’s policy may not cover a newly purchased home that is being rented back to the sellers. The agent can provide valuable guidance on these questions. Moving is stressful, but having the right insurance can make it a little less so.